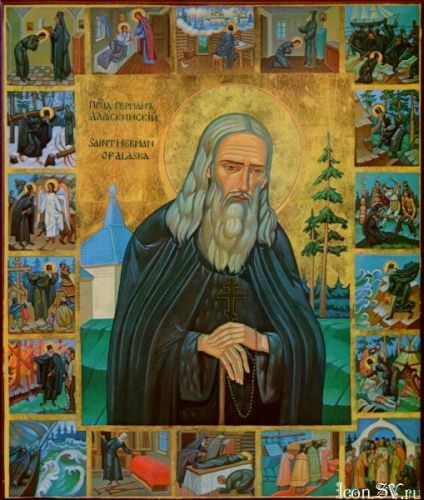 During a meeting of the Holy Synod of the Russian Orthodox Church, the text of the akathist to Venerable Herman of Alaska was approved for church-wide and private use (Journal № 62). The text was presented by the chairman of the Publishing Department of the Moscow Patriarchate, Metropolitan Klement of Kaluga and Borovsk. The text (currently in Church Slavonic only) can be accessed here.